The traveling show GENERA#ION, brings nuanced reflections of modern Saudi Arabian identity to Minnesota Street Project. Detail from work by Shaweesh. On the second floor of Minnesota Street Project, there's a giant photocollage that features Darth Vader standing among Emir Faisal's delegation at the 1919 Versailles Peace Conference. 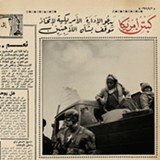 The image bedecks the reprinted front page of an actual Saudi Arabian newspaper from that year chronicling the historic conference that ended in the construction of the modern Middle East — its boundaries and borders shaped by the investments of colonial empires and imperialist power politics. The piece, entitled "Vader and Delegation," is by Shaweesh, one of thirteen artists in GENERA#ION, a traveling art show presenting contemporary art from the Kingdom of Saudi Arabia. GENERA#ION is currently on view through September 6, spanning multiple galleries in the San Francisco Dogpatch art complex. silly, yes. But doesn't the absurd violence enacted in the name of Western imperialism and its ongoing repercussions sometimes feel cartoonishly evil — almost impossibly bad? It would only make sense that colonial-era earthlings were in contact with the worst celestial dad we love to hate. In other words, "Vader and Delegation" critiques the rhetoric of nationalism and state building through the merging of fictive characters and historical events, asking, "How much of our dominant historical narratives and origin stories are real, and how much of them are mythologies perpetuated for political agendas?" likely register simply as a silly collage. Therein lies the challenge of GENERA#ION: appreciating the work as an American is not merely a matter of viewing, it's a matter of translation. Grab a copy of the catalog, read every placard, and don't be afraid to ask questions. The artworks say more than what a mere cursory glance would indicate. Ranging from textiles to video installations, the pieces are aesthetically pleasing, but they are not merely beautiful objects or static ethnographic artifacts out of time and place. 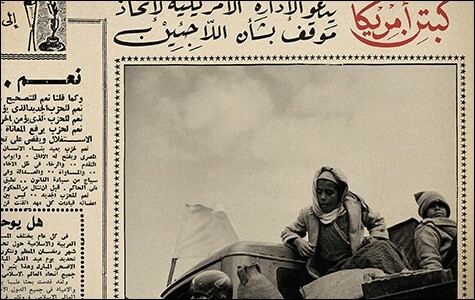 Although the scope of GENERA#ION is broad, ranging from Abdulnasser Gharem's interrogation of censorship to Ahaad Alamoudi's engagement with capitalism and globalism, it is unified by a critique of nationalist rhetoric informed by contemporary politics and the history of colonialism. 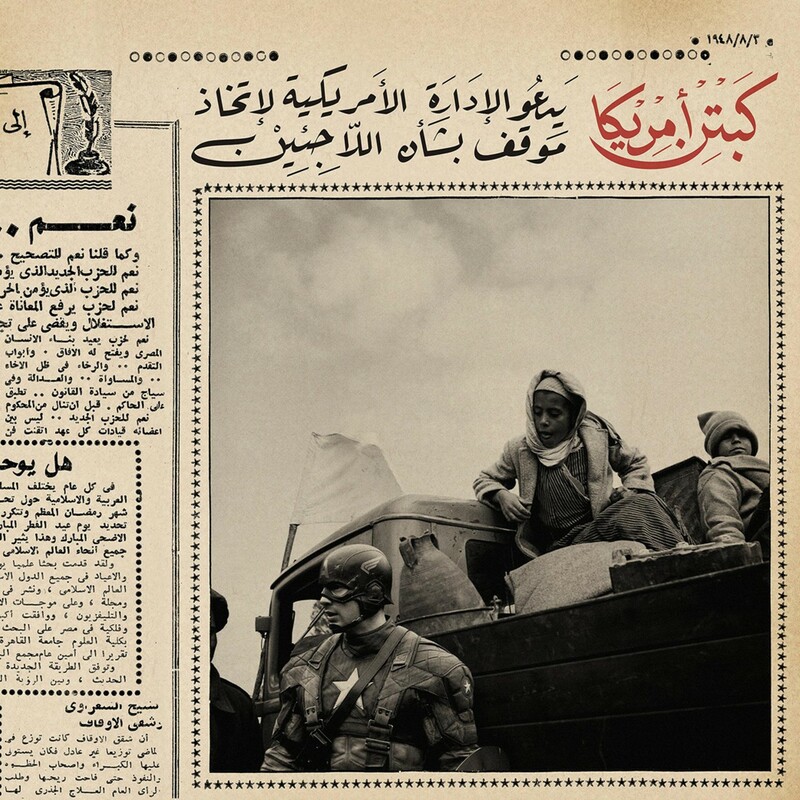 By coding the works with historical, religious, pop culture, and political symbols, the artists put forth images that are inseparable from Saudi Arabia's position within contemporary transnational politics. However, by radically rereading and repurposing these symbols, the artists also offer alternative understandings and nuanced critiques of Saudi politics and pop culture. As I took in the show, I heard murmurs of conversations assuming that it would be expressly forbidden for Saudi Arabian artists to be traveling alongside their work throughout the United States. But GENERA#ION is actually spearheaded and sponsored by the King Abdulaziz Center for World Culture. For some Westerners, this may come as a surprise. But that assumption illustrates the way that Western stereotypes of the Middle East — dominated by extreme oppression, severe censorship, and exotic savagery — inform how we approach and value contemporary Saudi Arabian art: Nuanced, political pieces are easily misread as merely interesting artifacts that offer an opportunity to learn more about a culture so different and distant from ours. The featured animated YouTube series Masameer directly engages such stereotypes by tracing their deployment in a variety of cultural realms, from the reception of art to the justification of war. In the wacky futuristic world of the episode "Oblation," for example, the proposed solution to Arab unity is the elimination of all Arabs. Of course, the video ironically implies, all Arabs must be inherently violent, and, in turn, American exceptionalism and Islamophobia must be valid. Although many Americans attending GENERA#ION might feel as if they've arrived at a total understanding of what it means to be a modern Saudi Arabian, the works in the show deconstruct that exact sentiment. GENERA#ION creates a complicated, chaotic, and subversive space where artists are challenging Western imperialism, nationalist rhetoric, and dominant understandings of memory and history — all while resisting being seen as a static archive frozen in time. Future poems for trashgender girls. Zines are a means of resistance and possibility.